Home buyers are busting budgets — and in some cases selling things they love — to snag their dream houses. A third of home buyers blew through the upper limit of what they planned to spend, topping that cap by an average $16,510, according to a Owners.com survey of 1,214 Americans who purchased a house within the last four years. The survey was conducted Jan. 31 to Feb. 8. The main reason? Price. Price. Price. Many houses on the market are drawing multiple offers, forcing buyers to bid up. In January, home prices nationally were up an average 6.2% from a year earlier, according to the S&P CoreLogic Case-Shiller home price index. Prices have risen nearly 50% from their 2012 bottom. Supply shortages, combined with a healthy job market that’s fueling demand, are blamed for the recent price run-up. A recent survey found that buyers are spending more on their home purchase than they intended. 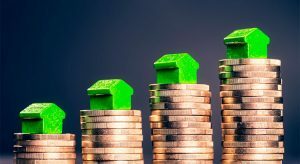 A third of homeowners recently surveyed say that they blew through the upper limit of their home purchase budget by an average of $16,510, according to a new survey released by Owners.com of 1,214 Americans who purchased a home in the last four years. The Owners.com survey also found that Generation X members tend to be the most self-directed when purchasing a home, while millennials tend to be the most reliant on their real estate agents for direction. Nearly one in five of millennials—or 19 percent of those surveyed—admitted they can be indecisive at times and rely on their agent to tell them what they should be considering and touring. Millennials are most likely to go over budget and by a larger amount because they’re first-time home buyers and the least knowledgeable about setting a realistic price target and meeting it. Gen Xers had Boomers are progressively savvier. Also, supply shortages and sharp price increases are most acute among the starter homes Millennials favor. Plus, many may feel more urgency to buy a house because they’re living with parents or renting. Members of the other age groups, many of whom already own homes, can simply stay in them until they find something close to their price range. The first step in getting yourself in financial shape to buy a home is to know exactly how much money comes in and how much goes out. Use this worksheet to list your income and expenses below. Download below.